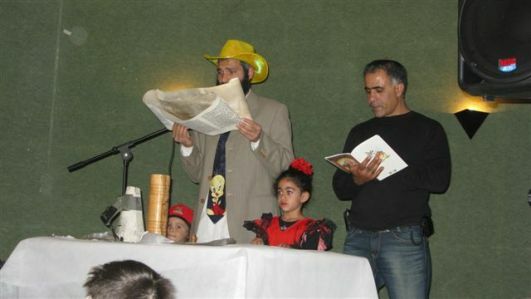 AH is in high gear preparing for Megillah readings and Purim celebrations all over Eretz Yisroel. Our volunteers will be packing and delivering shalach manos. Miraculously, even though some communities rejected our offer to come for Yom Kippur davening they have welcomed us with open arms on Purim for Megillah reading. The Synagogue will be finished in two weeks! On vav Nissan/March 22, AH hopes to celebrate the Dedication of the Synagogue and the Sefer Torah, please join us midday for this moving event. On Daled Nissan AH hopes to celebrate a VERY SPECIAL Synagogue and Sefer Torah dedication at Pri HaGalil Factory, located between Tzfas and Kiryat Shemona. On their own, the laborers revamped a shelter that had been in disuse for 60 years into a shiny beautiful Makom Kodesh. Against all odds, with the management completely opposed to and continuously ignoring their requests to have a Synagogue and Sefer Torah at their place of work, these workers made it happen anyway. They are extraordinary not just in their hard work, but also in their love and unswerving dedication to build a Synagogue and welcome a Sefer Torah. They represent real emunah pshuta. 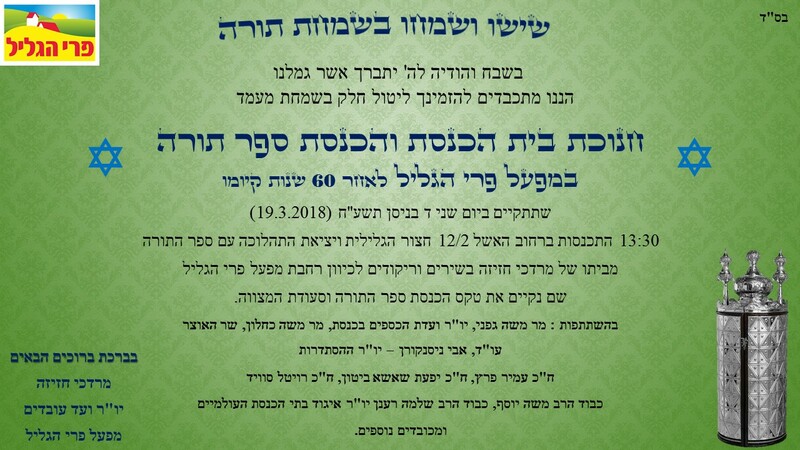 MK Moshe Gafne who fought to keep this company open will join us on this wonderful occasion. Also in attendance, amongst others will be Amir Peretz (former defense minister), and Avi Nissenkorn (head of the Histradrut). Please join us as well. Kibbutz Givat HaShlosha (near Petach Tikva) had a tiny 18-meter Synagogue, which AH helped them build, and brought them Sifrei Torah. It was so small that on many Shabbosim men had to stand outside to daven. 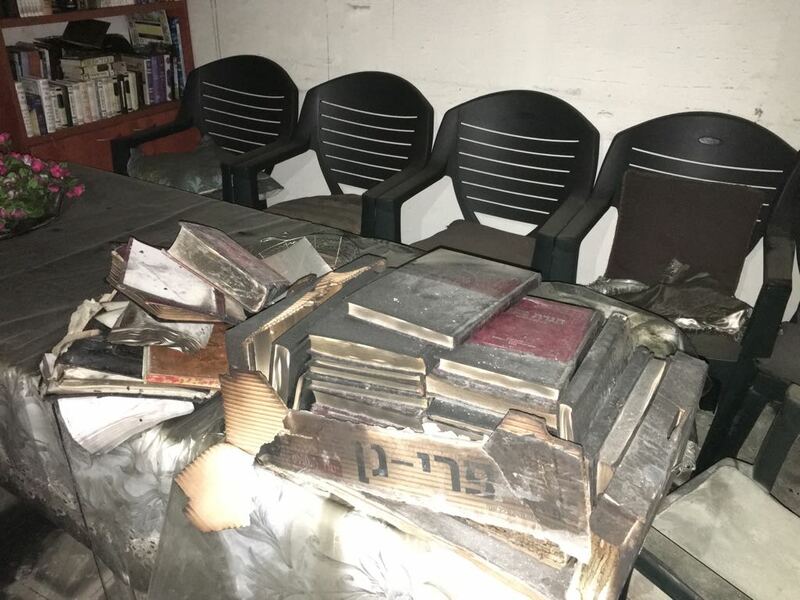 Shabbos Terumah the Synagogue burned to the ground. Thank G-d due to the heroic efforts of the Synagogue’s neighbor the two Sifrei Torah were saved. Unfortunately, in the process he was severely injured and is still in Beilinson Hospital in Petach Tivka. Please daven for the complete recovery of Ron Ben Sarah. Contrast the story at Kibbutz Shlomit’s Synagogue, where a neighbor, an accountant of significant professional standing, vehemently opposed its existence so much so that he tried everything he could to close it down—complaining to highest government and utility authorities, and even filing a suit against it in municipal court. Undaunted, AH’s avreich, Rav Yosef Perachim who together with his wife, have been living there for 12 years always treated this person with great respect; always greeted him with Sever Panim Yafos. After 9 years of dealing with his vehement opposition Rav Perachim found an opportunity to ask: “do you know what you are even fighting about? [Tongue in cheek Rav Perachim added:] If you knew what you were fighting against you would fight harder.” The neighbor laughed, and then decided to continue talking and occasionally learning with the Rav. Finally, he moved away to Kibbutz Chanita. Rav Perachim stayed in touch with him and suggested that he join AH’s Chavruta program which he did. He continued to learn b’chavruta. He was so inspired that he encouraged his wife to do the same and he wrote to his many friends recommending they also join AH’s Chavruta Program A short time after he had written to his friends he suddenly collapsed and died. May Ofer Cohen Ben Yitzhak’s name be for a blessing. AH avreichim are learning Mishnayos li’luy nishmaso. Because of the raging anti-Semitism in France there has been a steady and increasing influx of French immigrants to Israel. Many of these immigrants have asked to learn more about Judaism. Recently, AH held a seminar for 100 French women sharing the immigrants’ requests and asking these 100 volunteers to participate and attract many more French volunteers. Currently AH has 500 French female volunteers, AH needs at least double that number to meet the demand! EHUD BANAI AT KIBBUTZ GONEN WITH AH’S FAMILY! 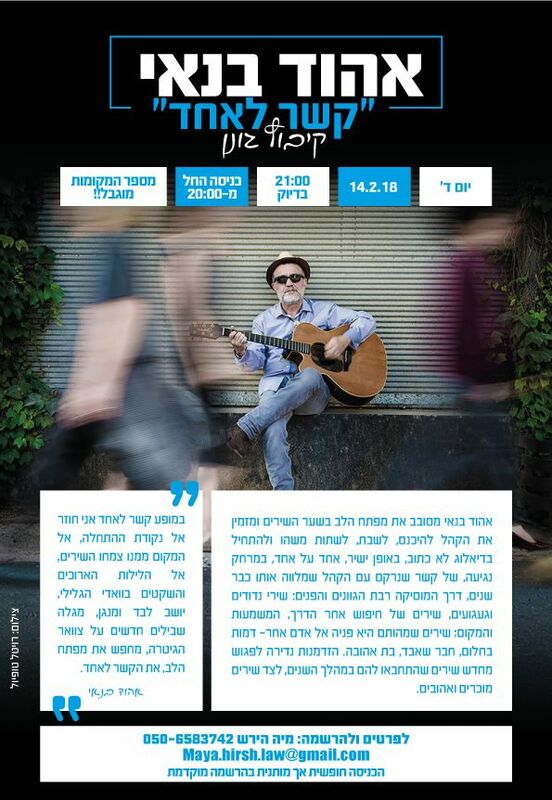 Thursday night before Shabbos Terumah, Ehud Banai, a musician, singer and composer, who himself was chozer b’tshuva, gave a concert to at least 300 Kibbutz Gonen members. Half the concert consisted of Divrei Torah and the other half Shirei Kodesh. On Shabbos he gave close to 10 shiurim. Hundreds of people attended the shiurim. Shabbos Terumah 5778 will be remembered as the Shabbos that forever changed Kibbutz Gonen!